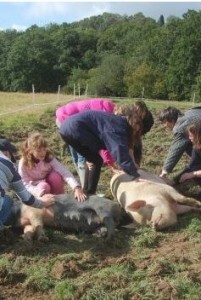 The Rare Breed Show at the Open Air Museum at Singleton was bathed in glorious sunshine this year, a contrast to the very wet previous year. 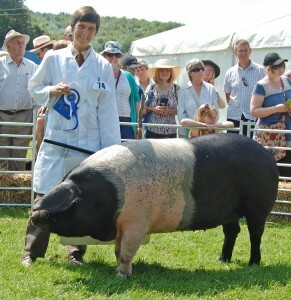 Hazel our July Gilt won her class and went on to become reserve traditional breed champion. 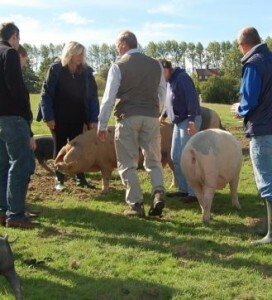 Our September and January Gilts also did well, both coming 2nd in their respective classes. 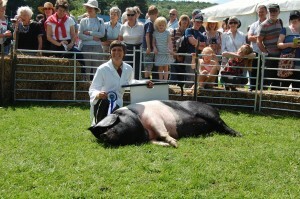 The win was just to much for Hazel who had to have a lie down – in the show ring. 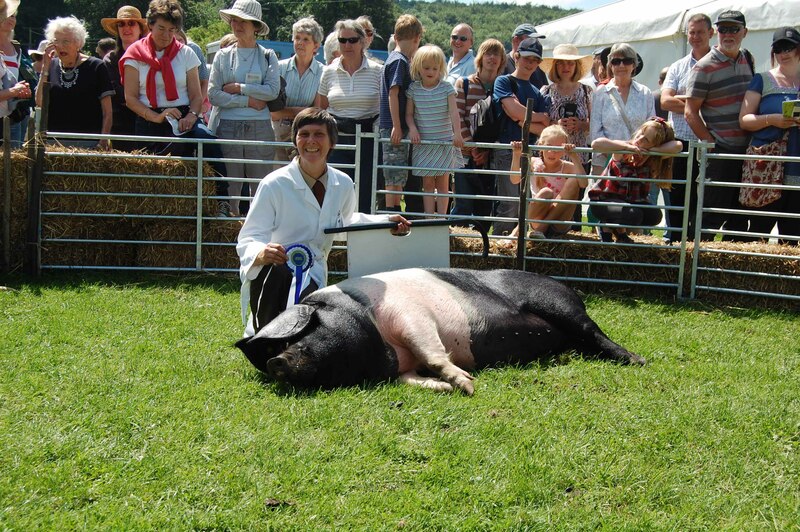 Oaklands Pigs were in great form at the Surrey County show on the May Bank Holiday Monday, with our saddleback sow Hilda winning Best in Show. We also scooped 1st and 2nd in the July gilt class, with Hazel a saddleback gilt taking 1st and competing alongside Hilda for Best in Show. 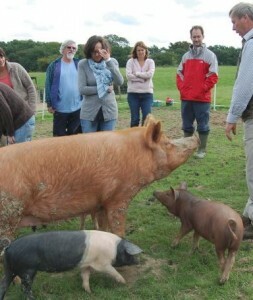 Then Chestnut an Oxford Sandy Gilt taking the 2nd spot making her the best Oxford at the show. 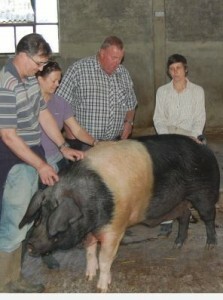 Not to be out done by her mother, Hilda’s daughter Hyacinth born in January this year came 2nd in her class. 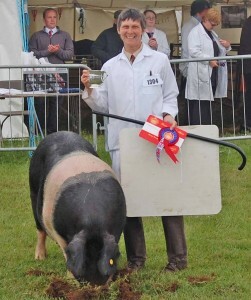 And the whole day was rounded off by Amy, our 5 year old saddleback sow winning the Veteran class.